If you want an elegant dinner plate, but also very original, Marriage Design Naif is the right one for you. The dinner plate Marriage Design Naif by Villeroy & Boch is perfect to set up with elegance all types of tables. It is made of fine china, but it is also very durable so that it is dishwasher and microwave safe. The dinner plate Marriage forms part of the Design Naif collection, which includes a series of very peculiar and original objects such as plates, cups, bowls, saucers and bread plates all decorated with country scenes or with scenes of Noah's Ark. The fineness and originality of the paintings on the high-quality porcelain these items are made of, make the entire Design Naif collection perfect for those who want to decorate the table with elegance, but also with originality, and for those who want above all to surprise their guests with very special but also sophisticatedly elegant plates. In fact, the dinner plate combined with the rest of the collection will allow you to set up a beautiful table and it will be perfect for the most formal and important occasions, as well as for an informal everyday meal with family or friends. 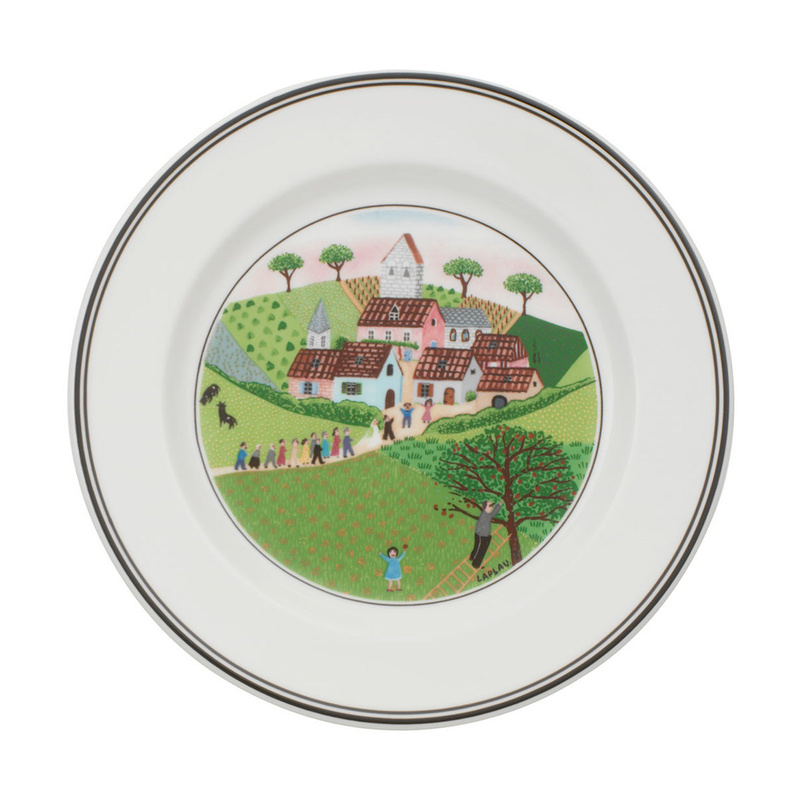 The dinner plate Marriage Design Naif is painted with a scene of everyday life in a village where they are celebrating a Marriage and all the inhabitants follow the Marriage procession. The attention to detail and the fine decoration make this plate one of its kind. It will also be possible to combine it with other plates with other scenes of everyday life in the village, like the farmer, the village or the hunter, to create a true masterpiece on your table. 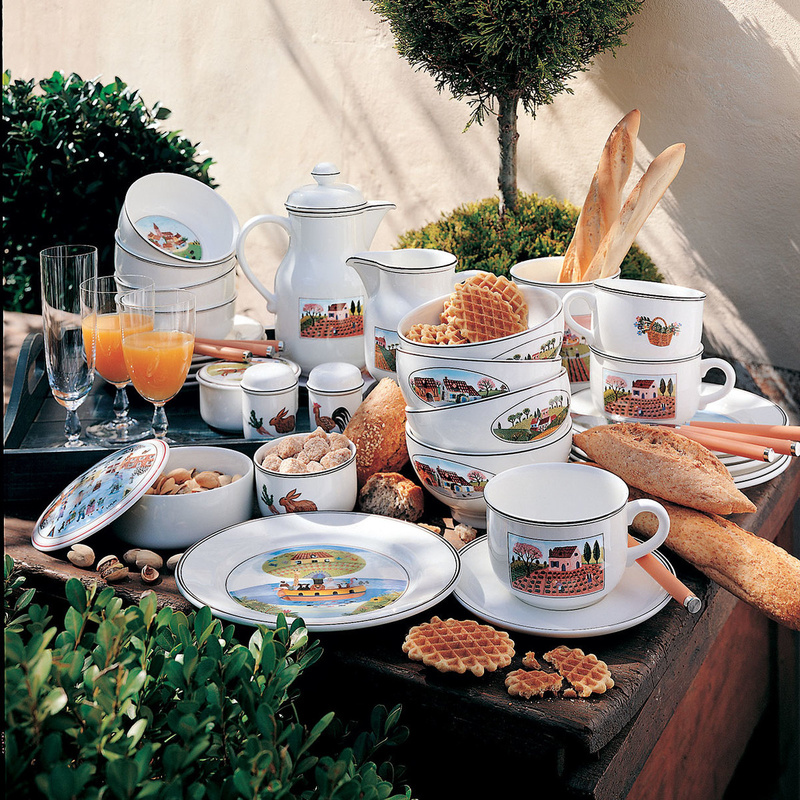 Villeroy & Boch produces high-quality porcelain since 1748. The attention to detail, the passion for porcelain, the respect for the environment and the optimization of functionality allow the creation of products which, although valuable, are highly resistant. This is what made this company renowned all over the world. In fact, this brand is present in 125 countries with 14 manufacturing facilities all over the world. The dinner plate Marriage by Villeroy & Boch is perfect for those who love to surround themselves with highly decorative objects that are also very original and valuable.